Google street view boost to its maps ups the ante. I just may bite if Apple takes their time. Last weekend, biking on bike trails across the Anacostia River to view National Aquatic Gardens in Washington DC, queries on how to get back to core DC, Siri put me on entry lane to a busy highway! Even though by Apple Maps I'd scouted the very bike paths. Aside from more than a million Apple users around town, tens of millions of tourists visit DC each year. There is a HUGE Apple ad on RFK Stadium. Bike rentals are ubiquitous. Isn't it time to put a few staffers on this Apple, starting with maybe the top ten biking cities? What does OpenGL deprecation in Mojave mean to Steam games? Is dropping support only a matter of time or is Steam committed to the Mac? Nothing for at least a year after Mojave ships. We're working on it. Deprecated doesn't mean removed. At least not today. @Eriamjh Deprecation means "We're fading this out over the next few years, don't expect any updates, try to use different technology like Metal for newly created apps." Apple haven't updated OpenGL for the last 5 years, so it's exactly the same old same old, it's only just official now. OpenGL based games will still run on Mojave, and for all we know they might even run on macOS 10.15 (it might still have OpenGL – the same ancient version it has right now). Some popular games are already ported to Metal, like Dota 2, etc. There are ways to port Vulkan apps to Metal using MoltenVK, as well. To the last poster who dramatically violated the commenting guidelines, while blaming an problem between the keyboard and the chair on us. I fixed your problem for you. The Microsoft-owned business social network is increasing the ways people can get in touch with each other over the service, by sending voice messages. Microsoft is collecting audio data to improve Cortana. LinkedIn is just their best social platform for doing so. Apple haven't updated OpenGL for the last 5 years, so it's exactly the same old same old, it's only just official now. Perhaps someone will start an open source OpenGL implementation that runs on Metal. New projects can start with Vulkan, assuming they are targeting hardware that supports it (adoption is around 50% just now). 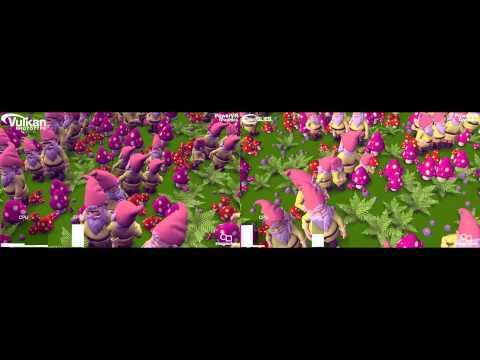 Most small scale games are going to be running on a game engine like Unreal/Unity, which takes care of the rendering and they support Metal and Vulkan. Bigger studios who maintain their own engine have the resources to support the newer APIs and will want to for the best performance. They also heavily use shaders in previews and having to maintain those in different APIs isn't so easy and they can't build on top of an engine like Unreal/Unity. Ideally Apple wouldn't remove the ability to run OpenGL software for a long time and just treat it as a legacy API. When people need to go lower level, they'd be able to add direct calls to the lower level APIs but having a very simple abstraction layer makes it much more approachable.